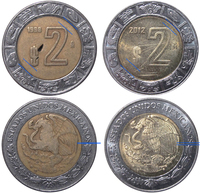 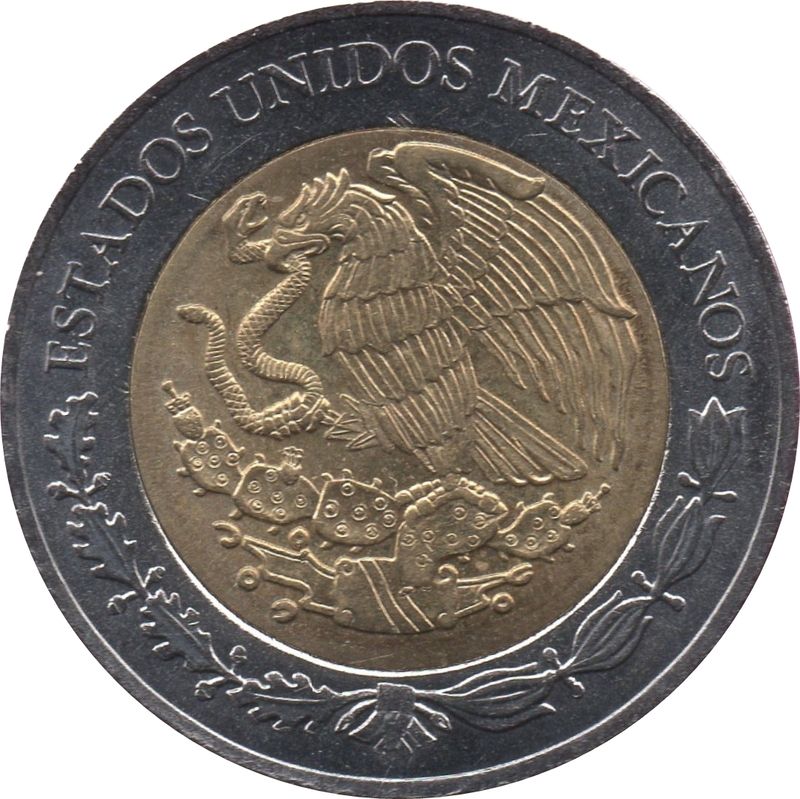 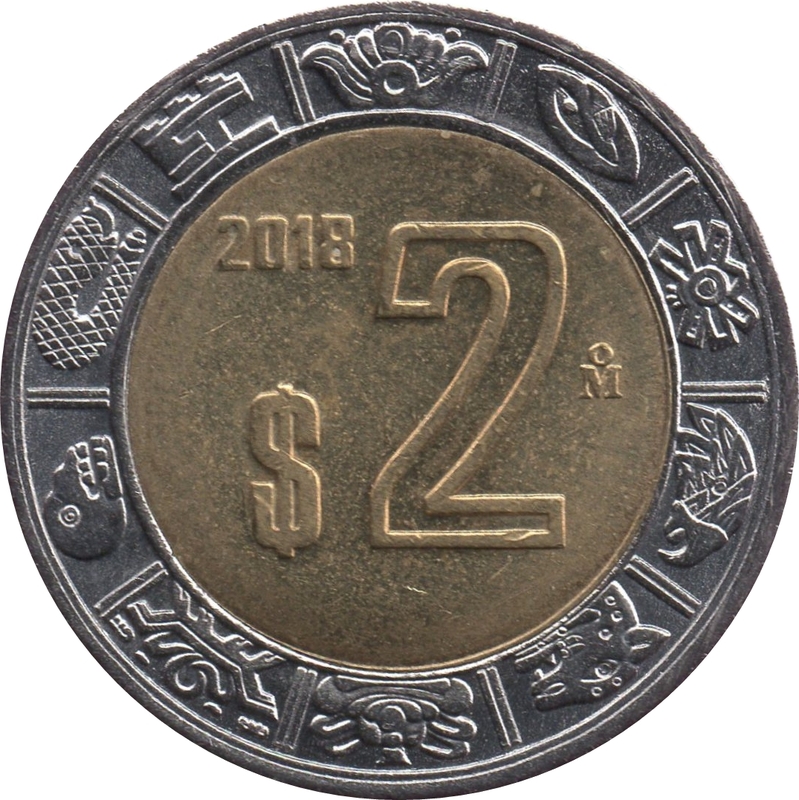 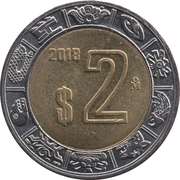 At center, the denomination $2 with the date above the $ and the mint mark Ṁ to the right. 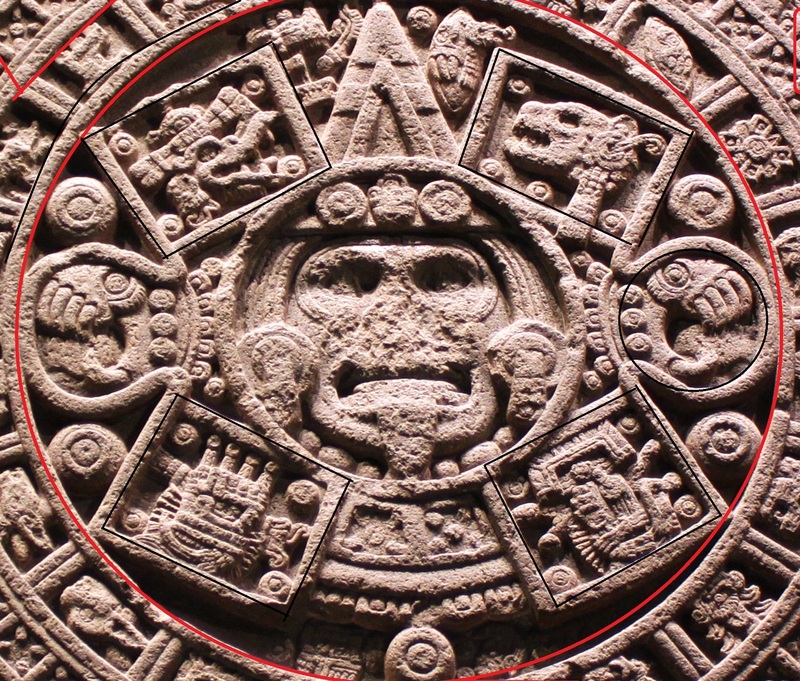 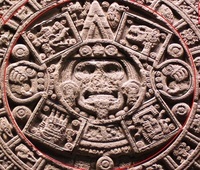 On the outer ring, the stylized designs from the Ring of Days (Anillo de los Días) on the Aztec calendar stone (Piedra del Sol). 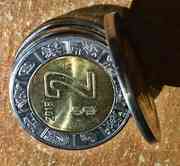 - Reverse: inner ring features placement: closer vs. farther from the side of the ring. 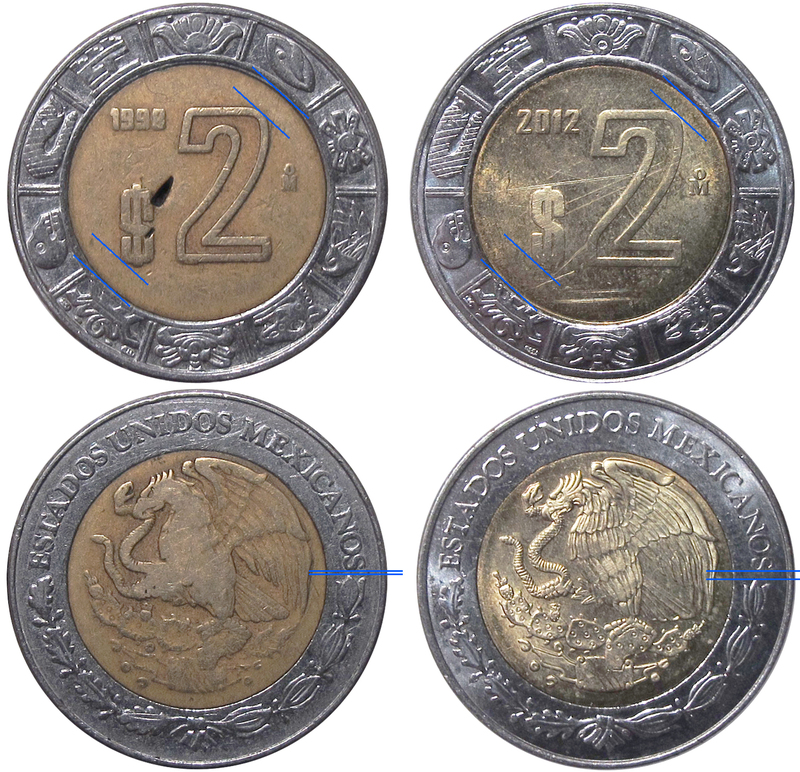 - Obverse: lettering placement on the outer ring: closer vs. farther from the right-side ornaments.